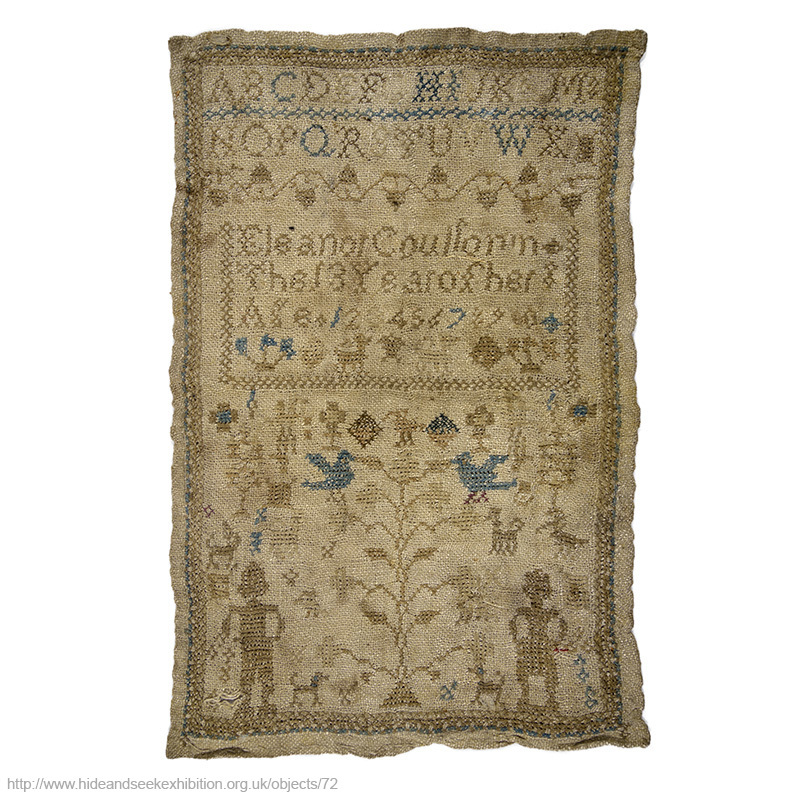 Eleanor Coulson made the earliest sampler in this group when she was 13 years old. It includes a biblical scene of Adam and Eve standing either side of the tree of knowledge. To create the design Eleanor used cross-stitch and naturally dyed thread in blue and fawn to spell out her name and age in the centre and the alphabet at the top.